The Rev. Clementa Pinckney, 41: A state senator and the senior pastor of Emanuel, he was married to Jennifer Benjamin and the father of two children, Eliana and Malana. Ms. Cynthia Hurd, 54: A 31-year employee at the Charleston County Public Library, she managed the John L. Dart Library for 21 years before heading the St. Andrews Regional Library. The Rev. Sharonda Coleman-Singleton, 45: A pastor at Emanuel, she was also a speech therapist and high school girls track and field coach at Goose Creek High School. Mr. Tywanza Sanders, 26: A 2014 graduate in business administration from Allen University in Columbia, he had worked in sales at department stores such as Belk and Macy’s. Ms. Ethel Lance, 70: She had attended Emanuel for most of her life and worked there as a custodian. From 1968 to 2002, she worked as a custodian at Charleston’s Gaillard Municipal Auditorium. Ms. Susie Jackson, 87: Ethel Lance’s cousin, she was a longtime church member. Ms. Depayne Middleton Doctor, 49: An admissions coordinator at the Charleston campus of Southern Wesleyan University, the mother of four sang in Emanuel’s choir. The Rev. Daniel Simmons, 74: Previously a pastor at another church in the Charleston area, he survived the initial attack but then died in a hospital operating room. Ms. Myra Thompson, 59: She was the wife of the Rev. Anthony Thompson, the vicar of Holy Trinity Reformed Episcopal Church in Charleston. and arise in the Pure Land of Bliss. avoid harm, do good, and purify his mind. 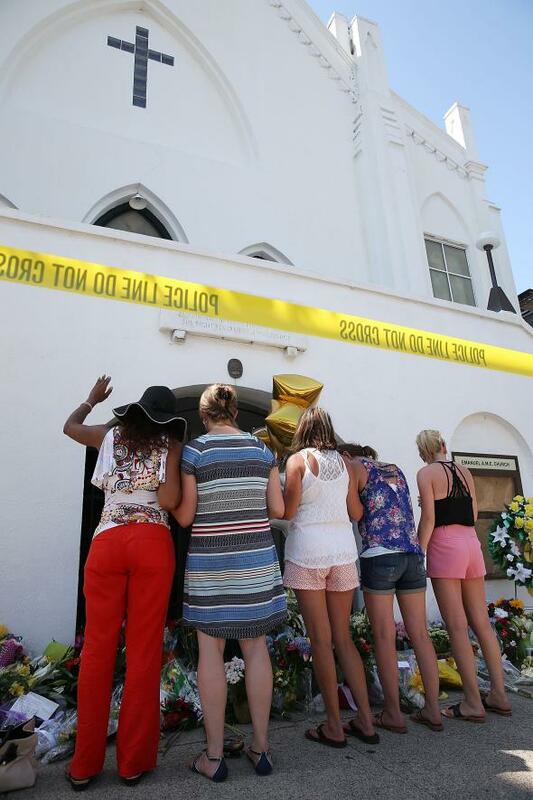 This entry was posted on June 19, 2015 by Vox Populi in Opinion Leaders, Social Justice and tagged Church massacre, domestic terrorism, Dylan Roof, Emanuel AME Church, racism, Tashi Nyima.